up to £2,000,000 within 48 hours! We know that ambitious companies can sometimes hit obstacles when they’re working towards their growth expectations. If you need a vital line of funding to help you reach your project targets, we have the ideal facility for you. We’ll match you with a proven lender that understands the challenges and opportunities growing businesses face. The result of our business overdraft facility is a highly flexible credit solution that’s there when you need it. Ideally suited to established businesses that are forecasting growth, this service allows you to seize chances that come your way. Whether you need to replenish your stock levels, invest in your latest product launch, or increase your marketing spend, our business overdraft facility could be perfect for you. It can even help you cover short term needs, such as when a debtor pays late. With the right finance option in place for you, you can ensure that your business continues along its growth trajectory and meets your goals. 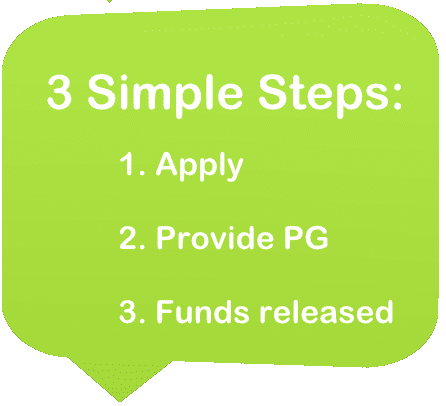 How does a business overdraft facility work? A business overdraft facility works in exactly the same way as a traditional bank overdraft, giving you access to finance when you need it and delivering flexibility when it comes to payment options. It’s designed to help your smooth out the peaks and troughs your business is likely to face as it grows. There’s no long-term commitment, allowing you to take to advantage of the finance when you need it and pay it back over a period that suits you. Our carefully chosen lenders are clean and transparent on the interest rates you’ll pay, helping to improve your cash flow management. When you choose our business overdraft facility, you can choose to have the funds paid directly into your bank account or added to a BusinessPlus MasterCard to allow you to cover everyday purchases. To use our business overdraft facility, you must be aged over 18 and the business must be currently trading and have sufficient revenue income to cover interest payments. Out dedicated team is on hand to offer you advice and start your application process, you just need to fill in our application form.